Directions: Millau is a city in the south part of France. It is located in the Tarn river. 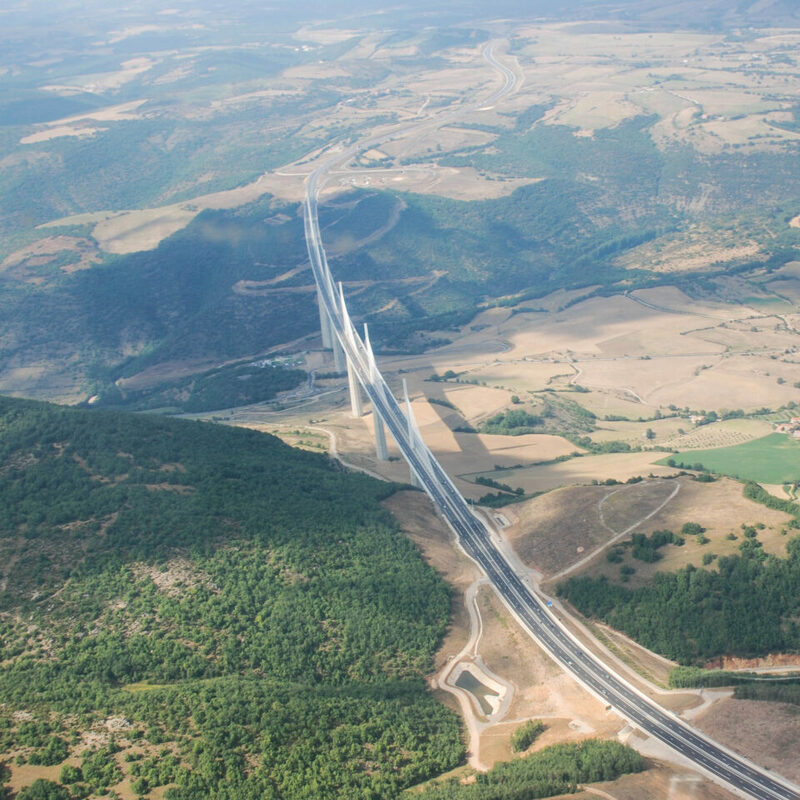 The viaduc is in the freeway A75 and crosses the Tarn valley. You can stop in a rest area at the entry of the viaduct to see it (of course you can't stop in it). You can also enjoy the view from planes but it is more expensive ! 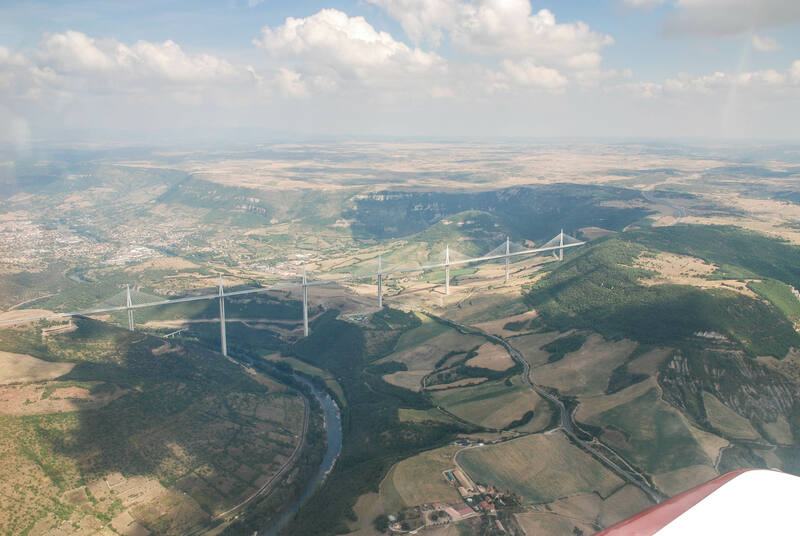 This viaduct is one of the highest in the world. It is very impressive wherever you look at it, similar to the Golden Gate Bridge for example. If you want to admire it, avoid going there in the summer where there are a lot of traffic in the A75 freeway. This part of France is not as famous as others but offers nice touristic opportunities, such as the visit of the Roquefort caves for example.